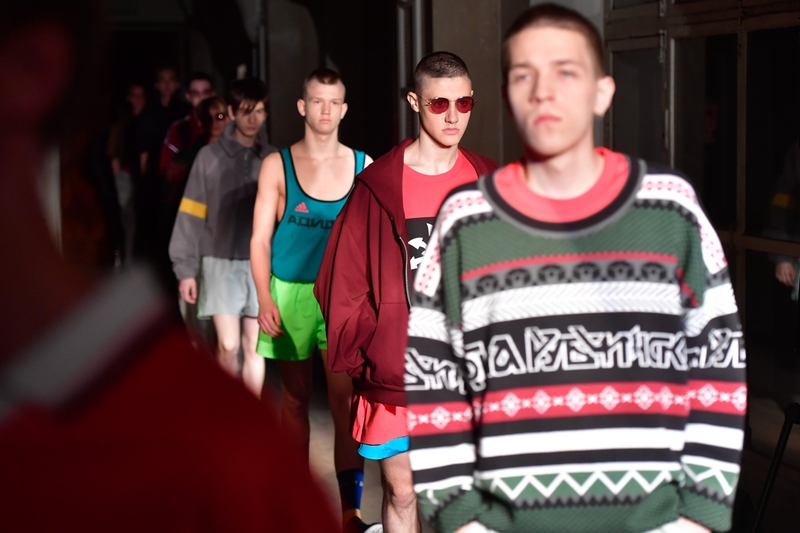 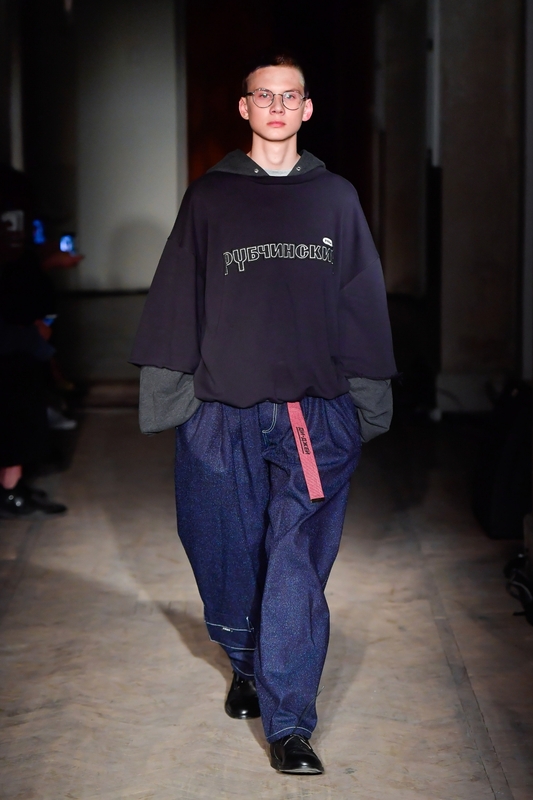 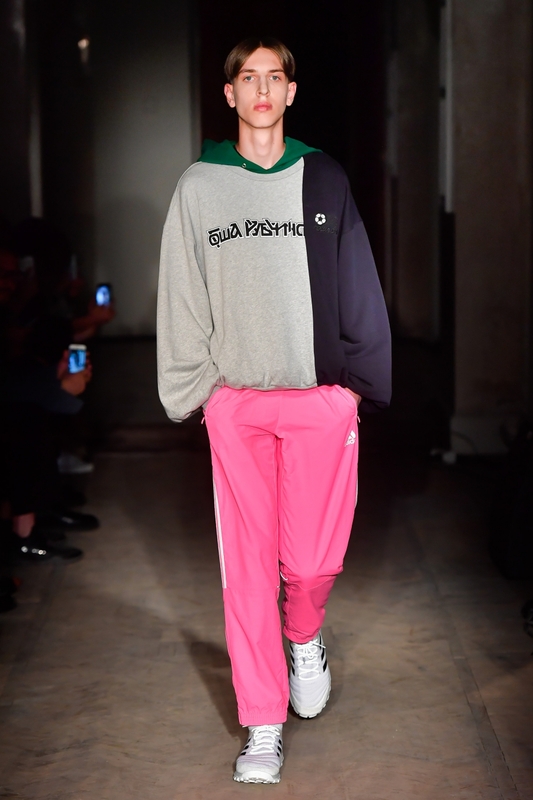 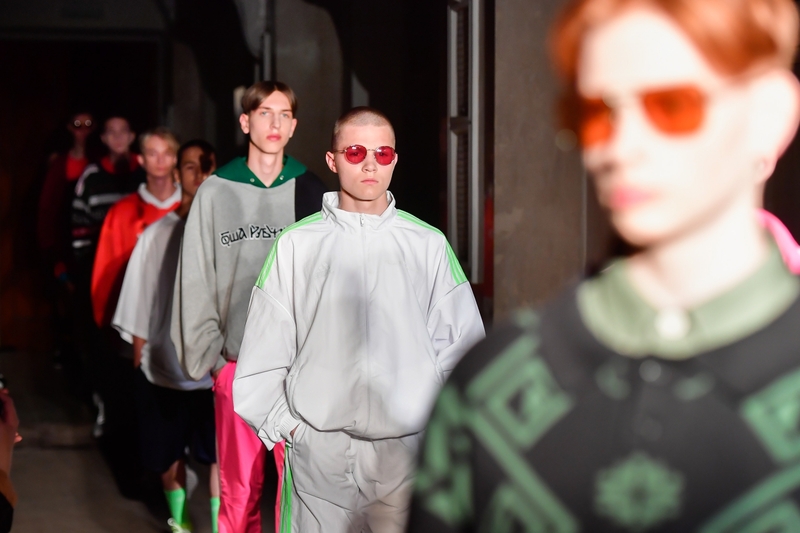 On June 9th, Gosha Rubchinskiy presented a Rave Culture themed SS18 collection in Saint Petersburg, Russia. 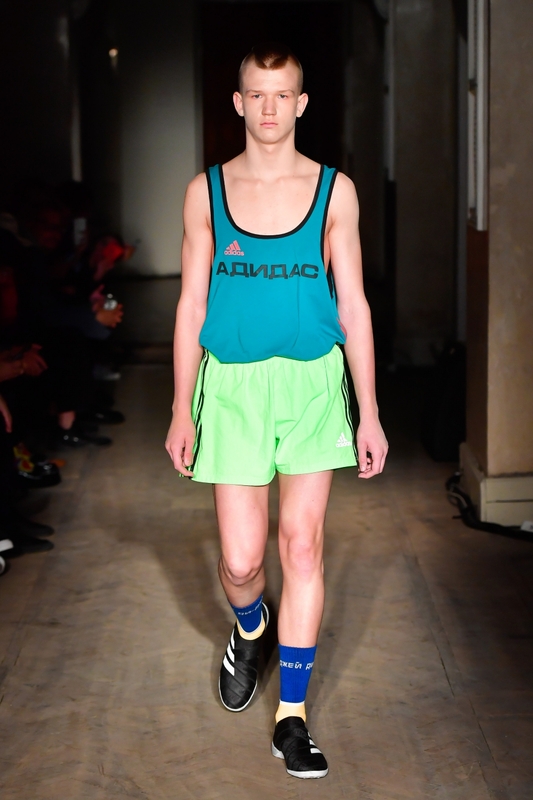 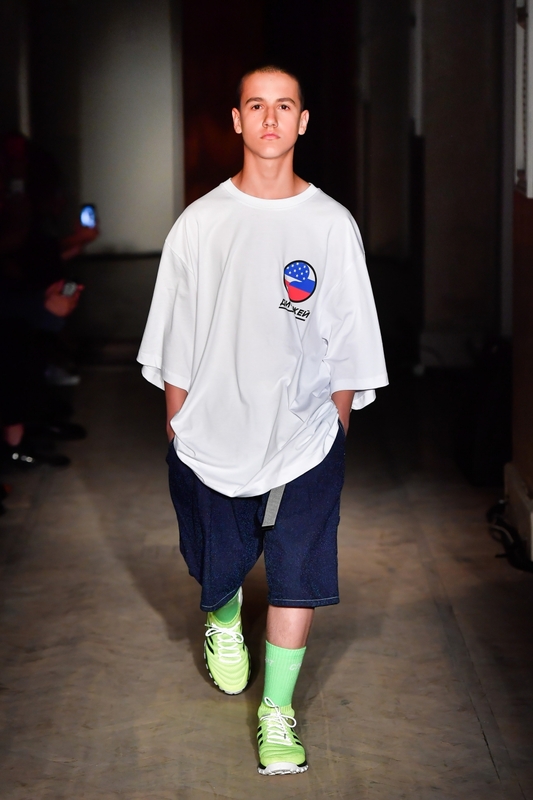 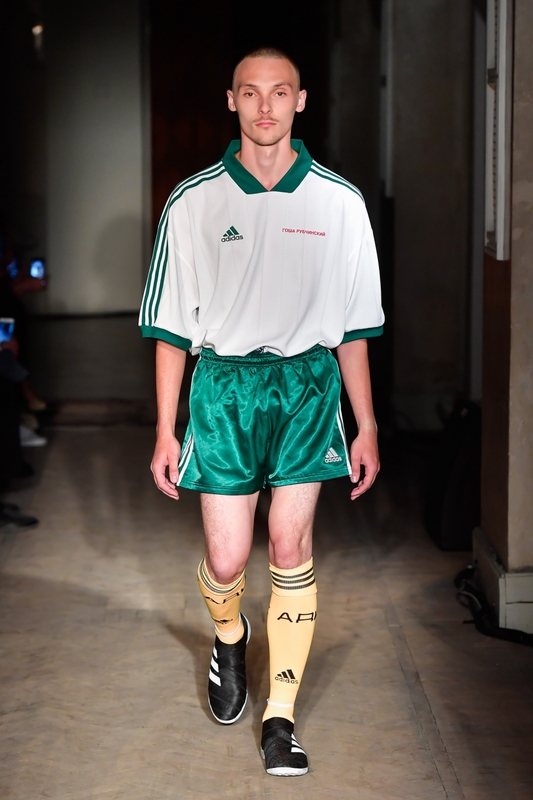 Inspired by the 90's rave scene, Gosha's SS18 collection mixes the worlds of football culture, nightlife and vintage sportswear. 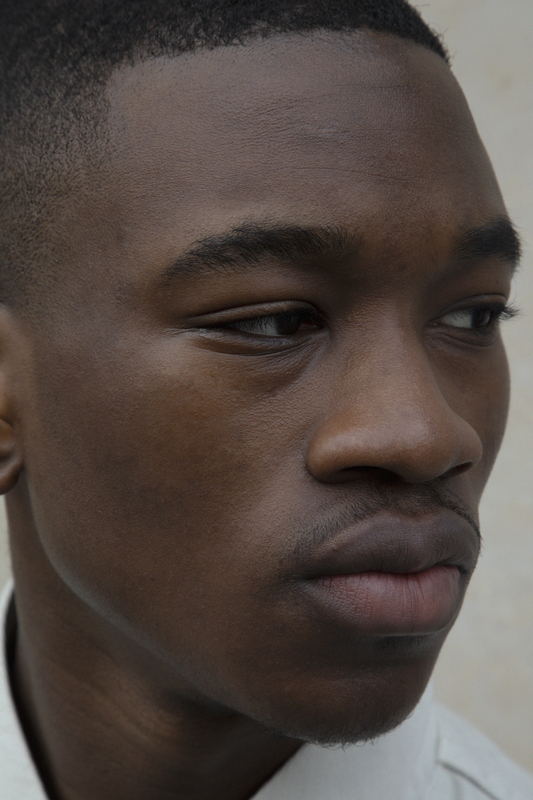 Scroll down to watch the video and see more photos. 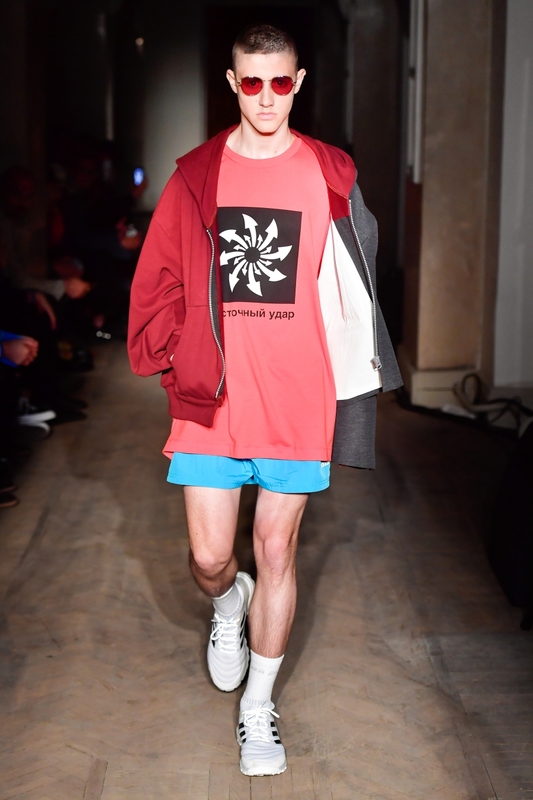 The location of the show, the “DK Svyazi¨, embodies this strong musical influence as it was known in the late 80’s for its famous Russian rock concerts and, in light of this underground status, was chosen in 1989 by cult artist Timur Novikov to organize the first rave in Russia. 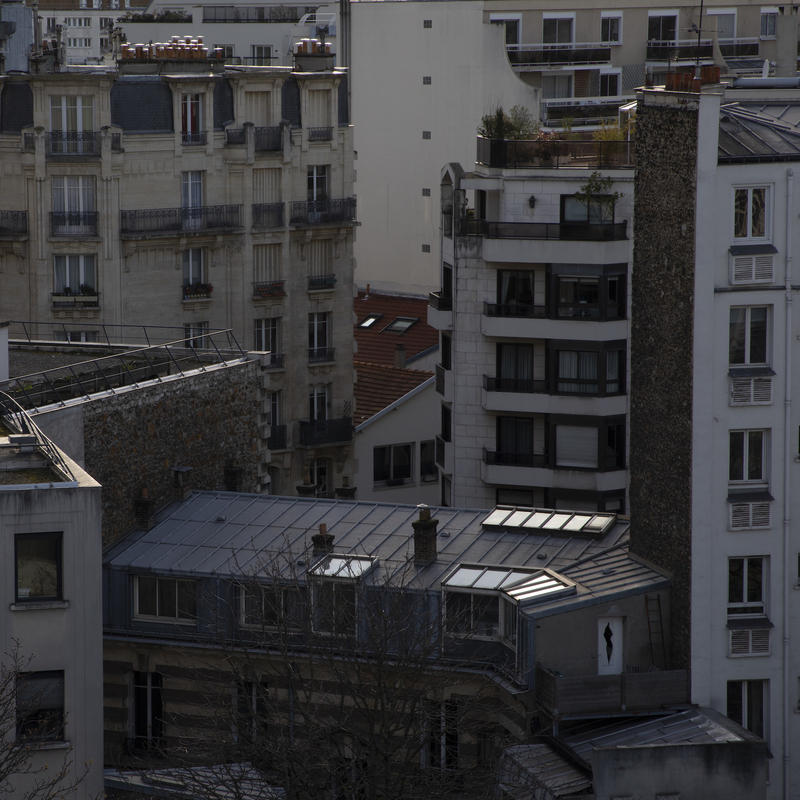 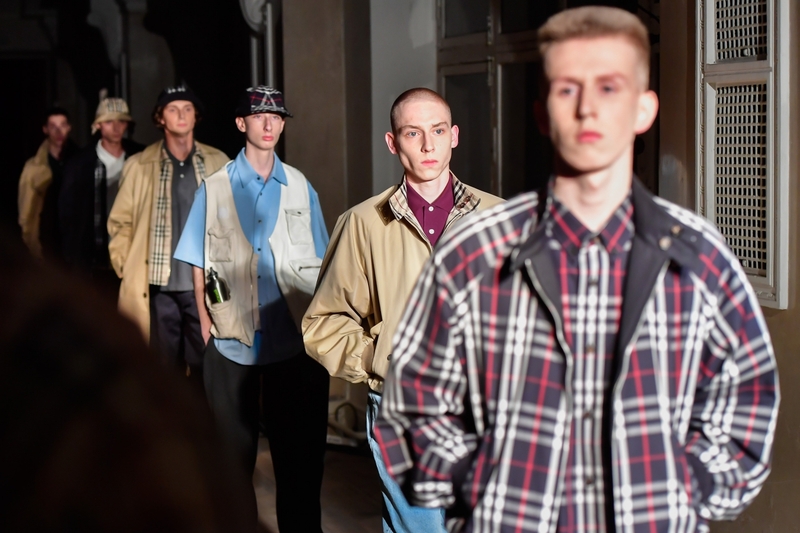 More than just a show space, Gosha was inspired by the ghosts of parties past that still live on in this city. 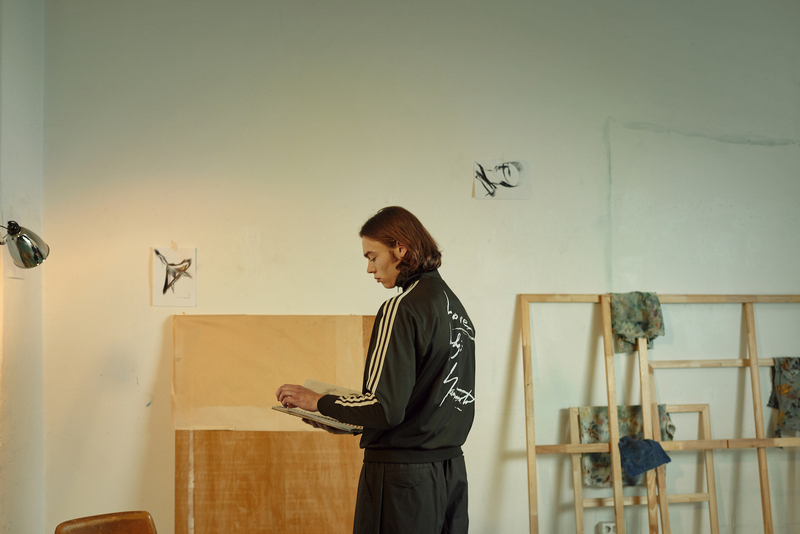 Taking his collaboration with artist Buttechno one step further, they created a music and light project for the occasion. 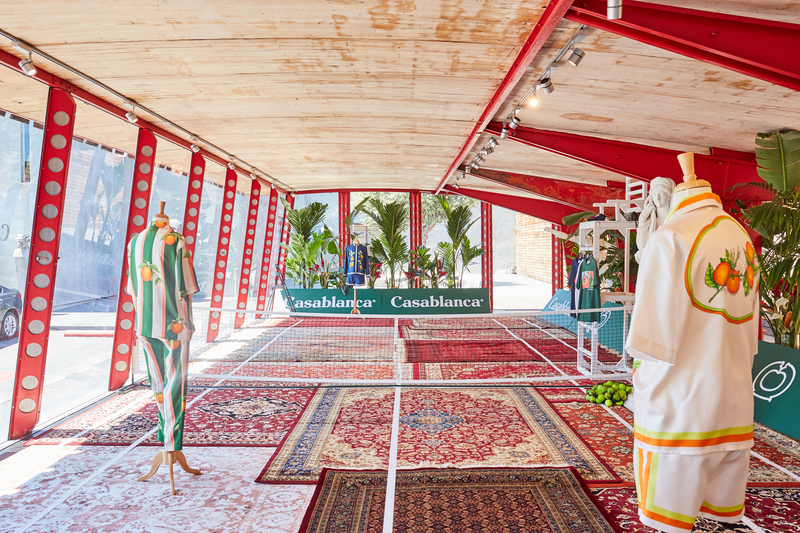 Blurring the lines between the past & present, this installation allowed guests to become part of the experience as soon as they set foot into the space. 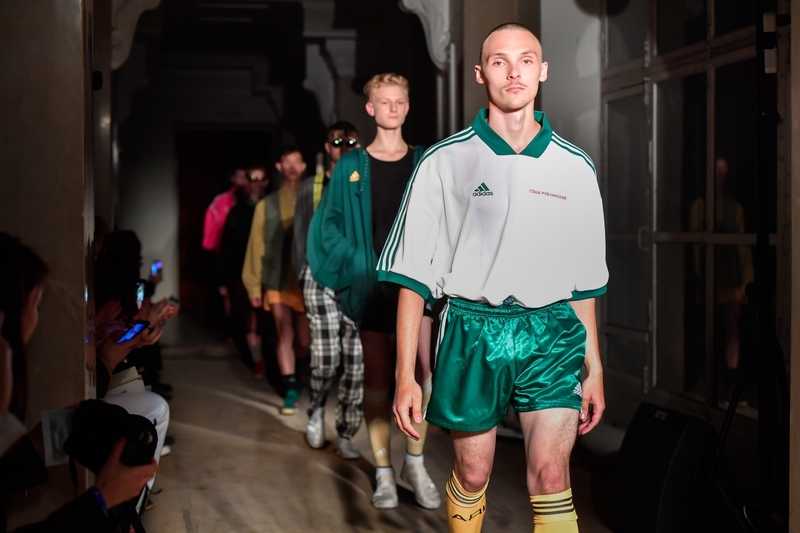 For his second season collaborating with Adidas, Gosha developed new shapes by working closely with the design team in Herzogenaurach. 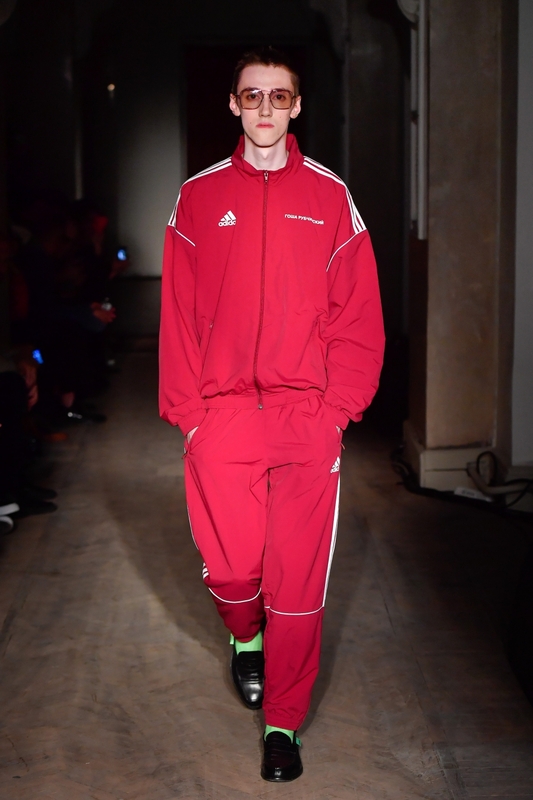 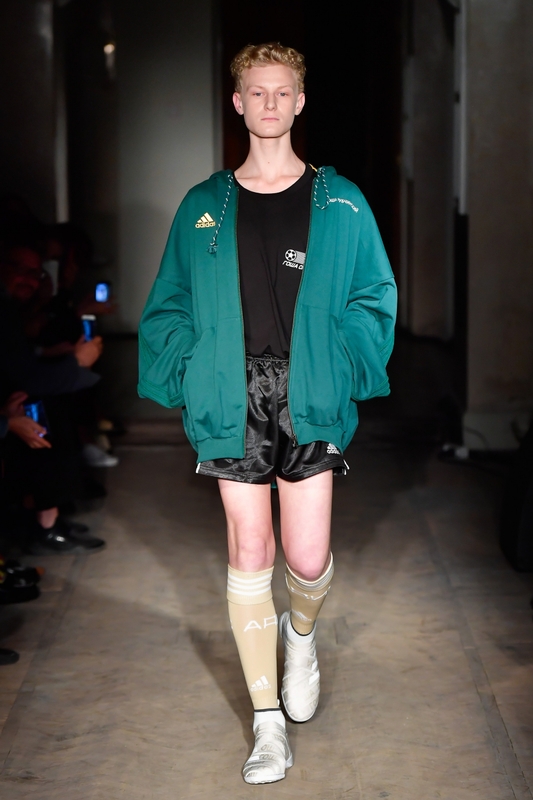 The collaborative pieces combine references to the 90’s ravers, vintage tracksuits and Russian football gear, fused with the knowhow and technology inherent to Adidas. 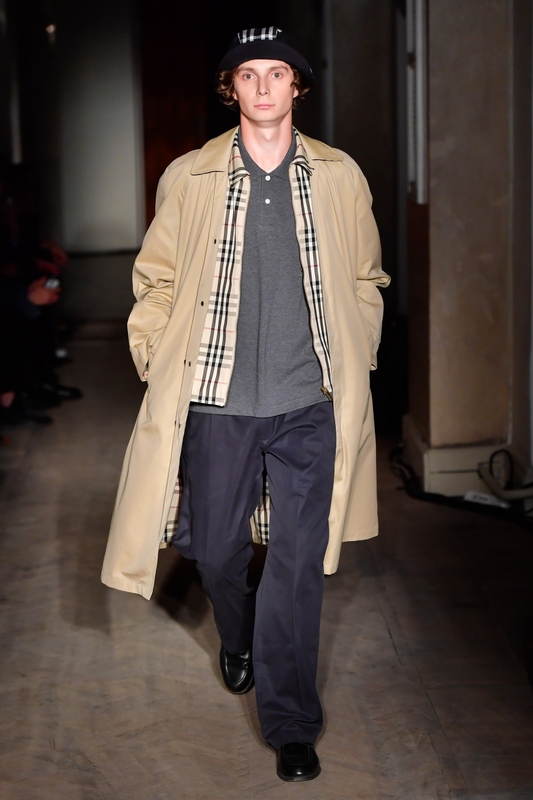 Collaborating for the first time with British brand Burberry, Gosha revisits closet classics such as the trench coat, Harrington jacket and raincoat, both universally ironic pieces that have earned their place in fashion's cultural history. 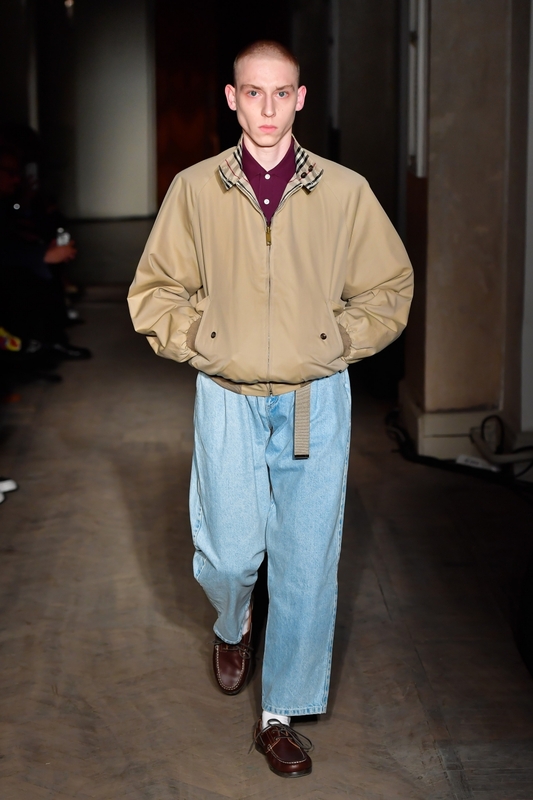 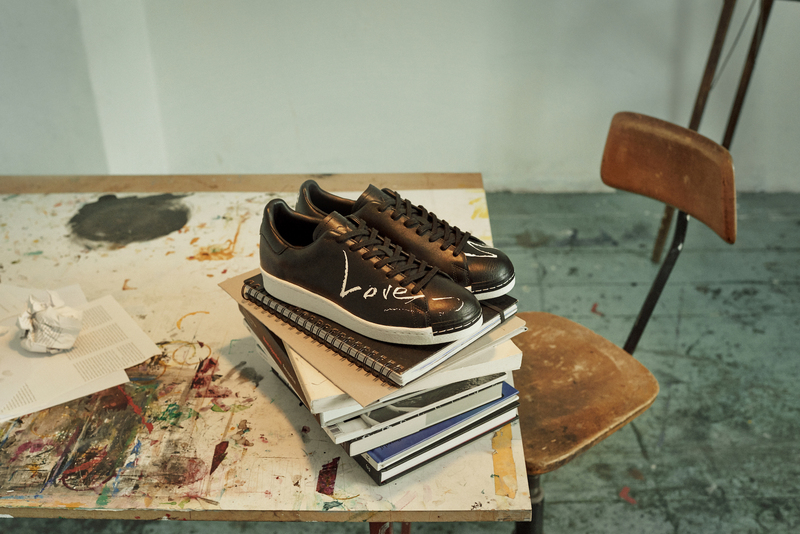 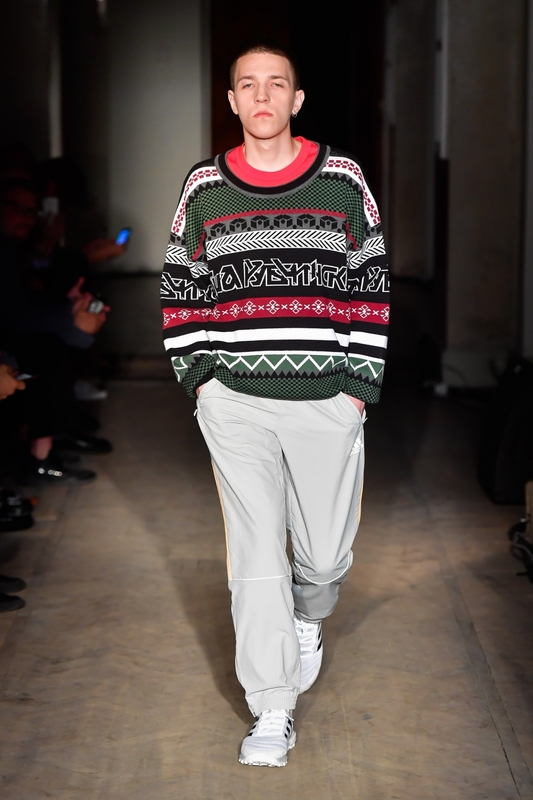 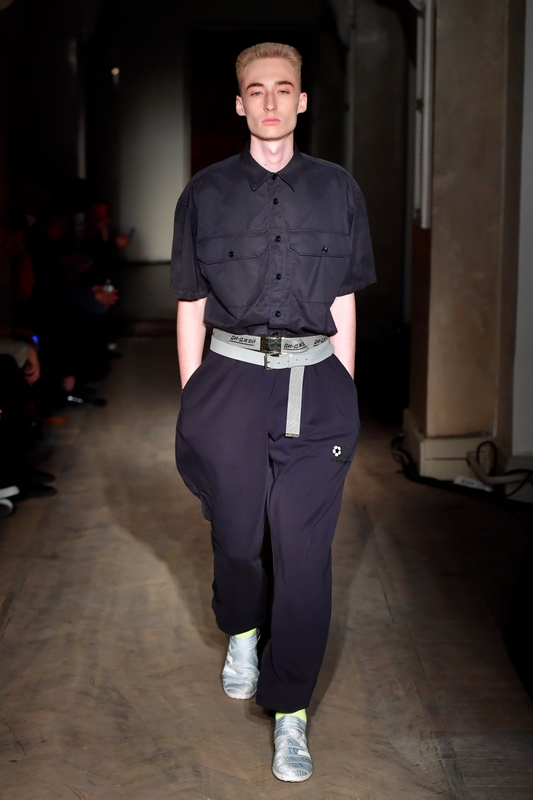 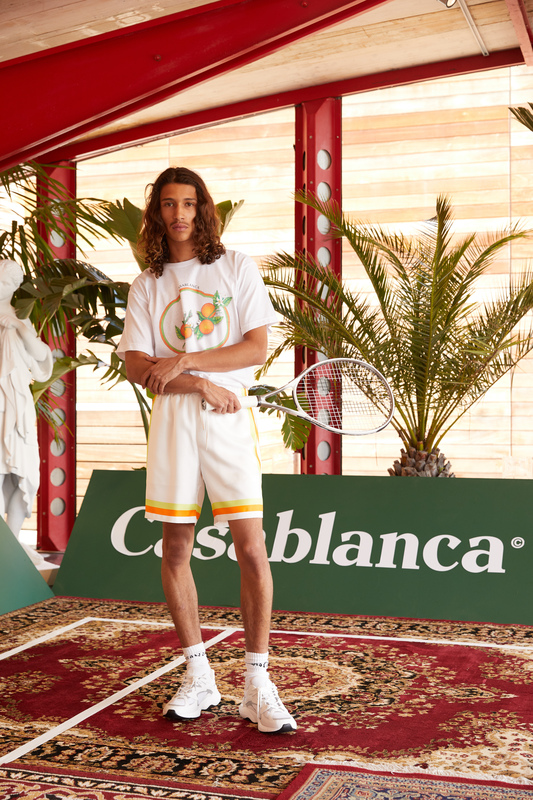 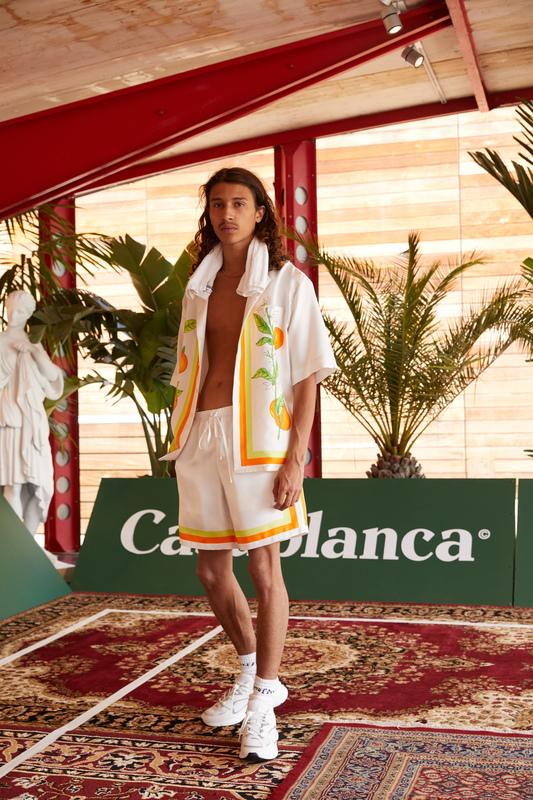 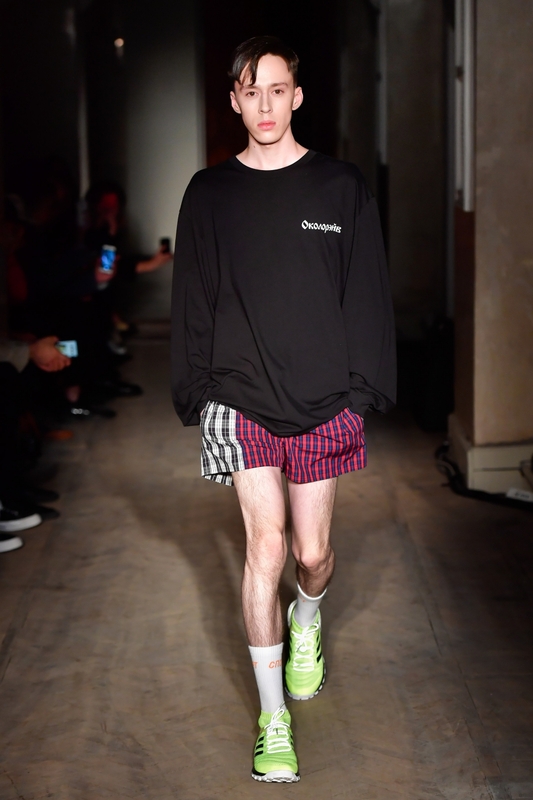 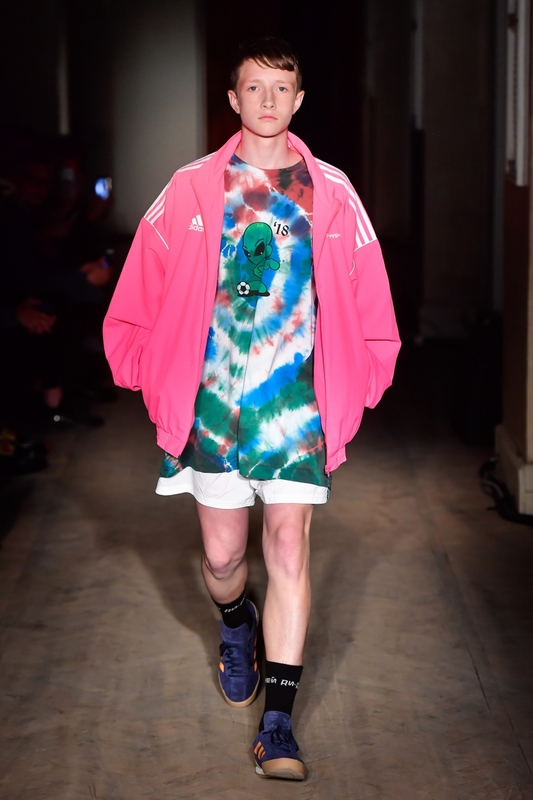 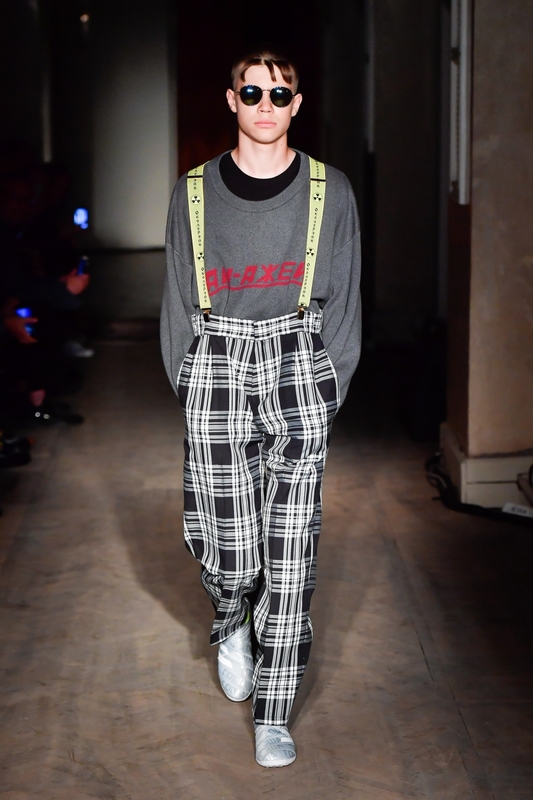 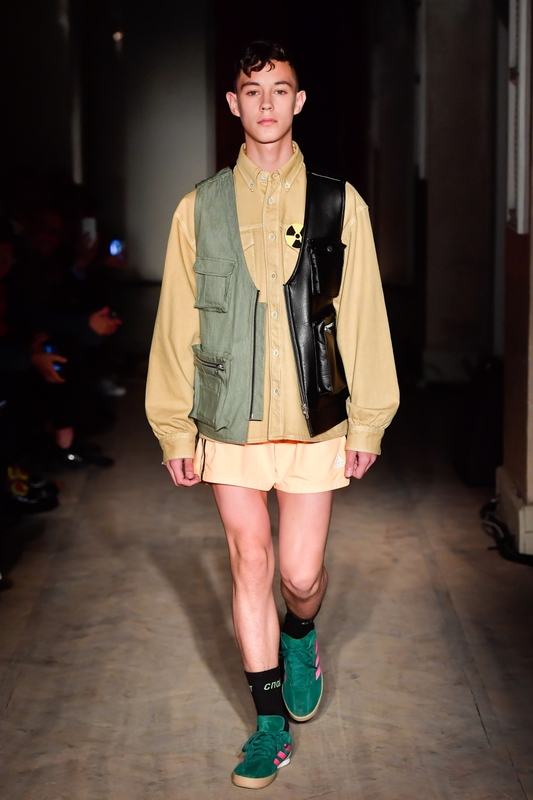 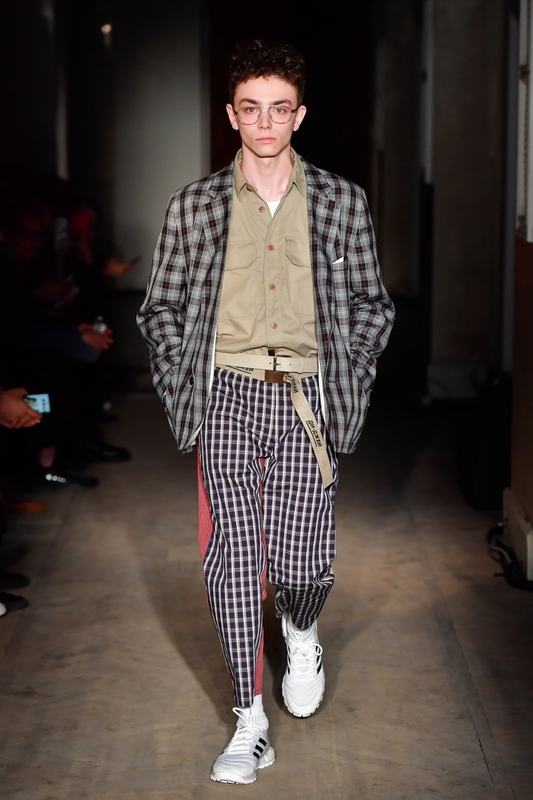 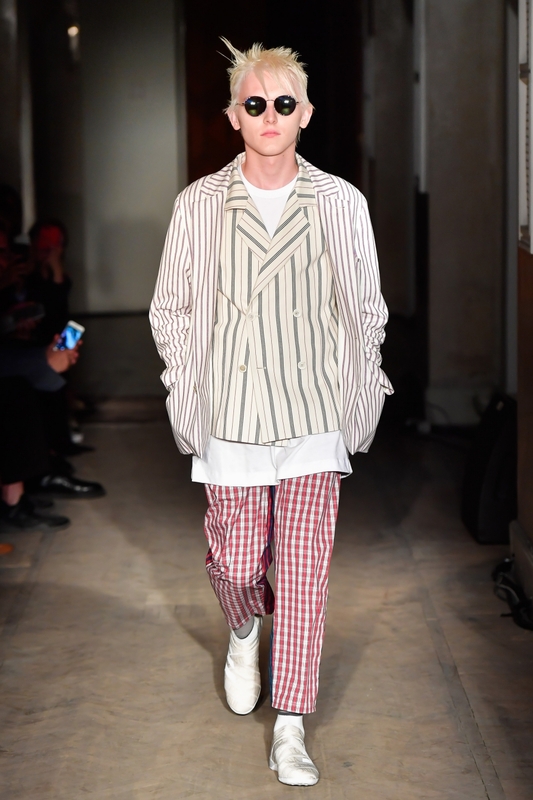 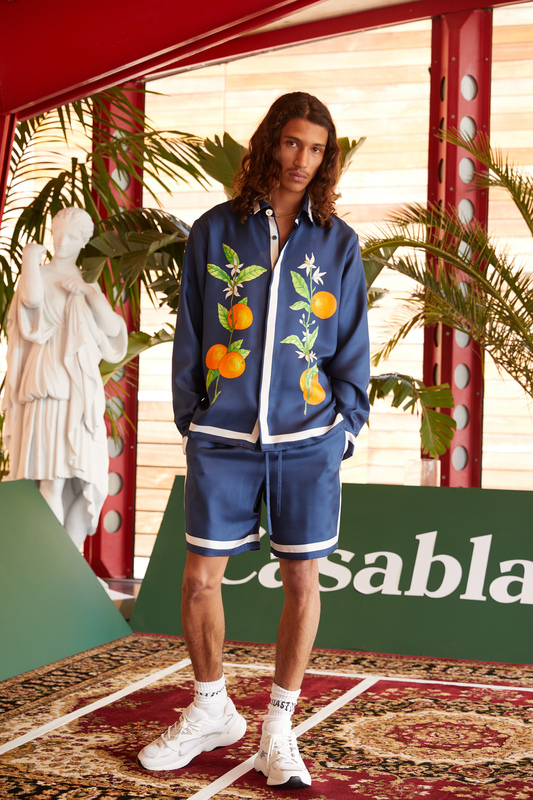 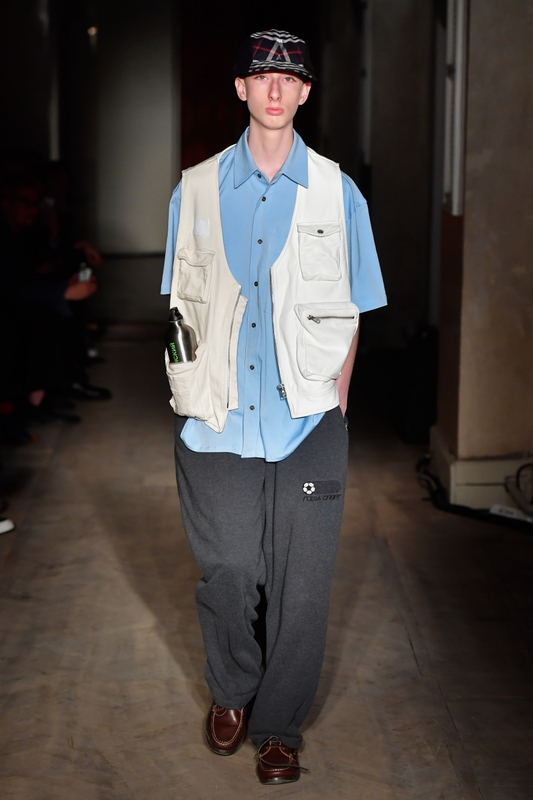 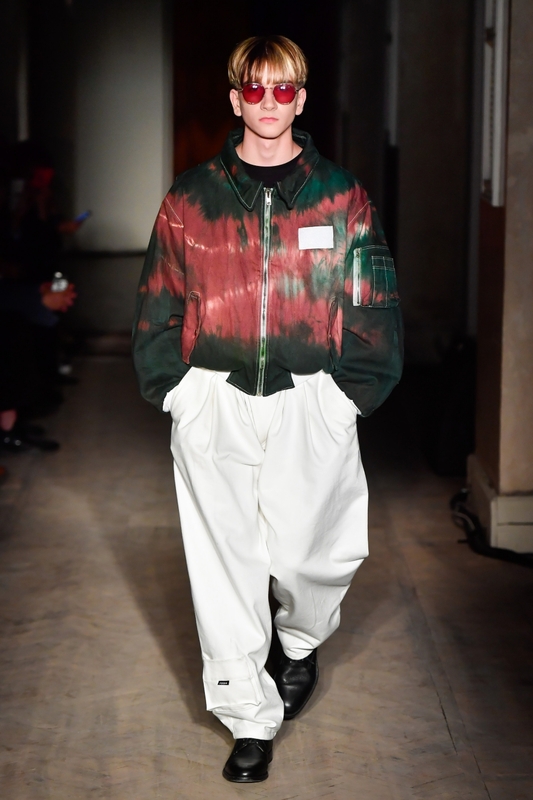 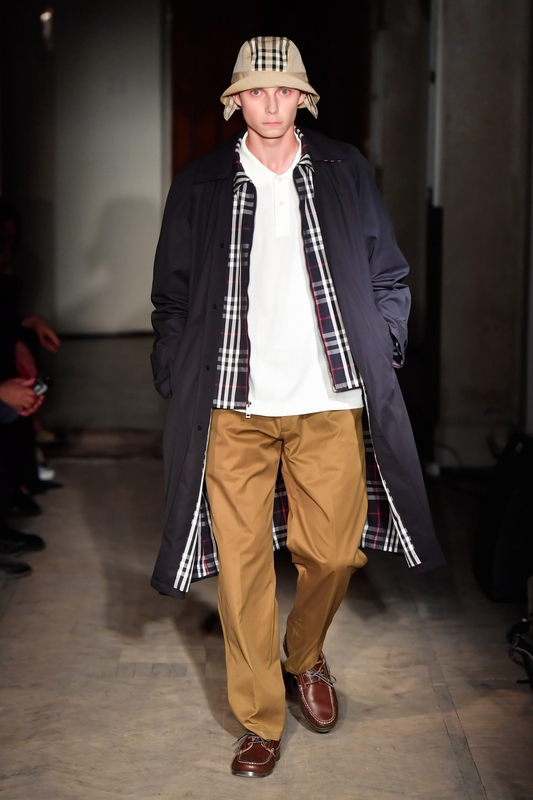 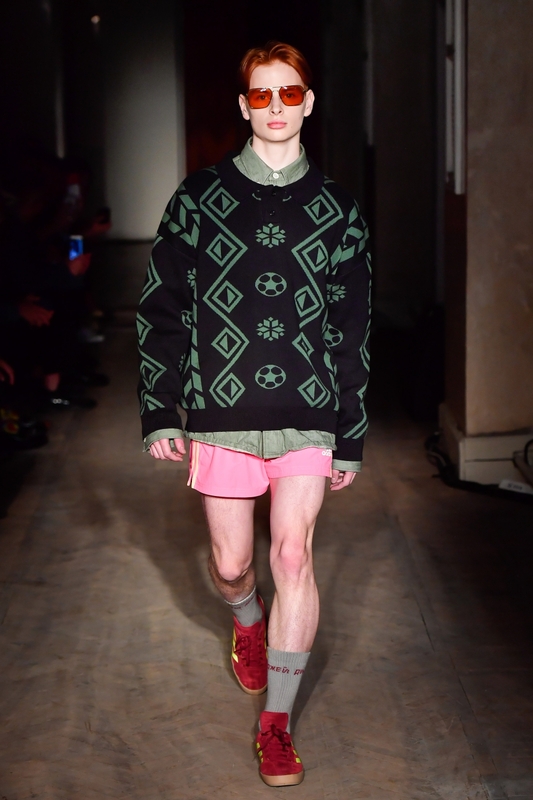 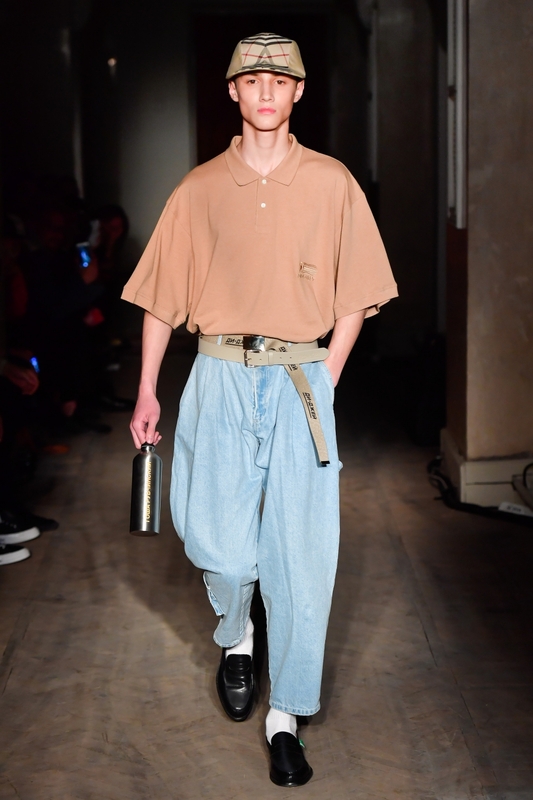 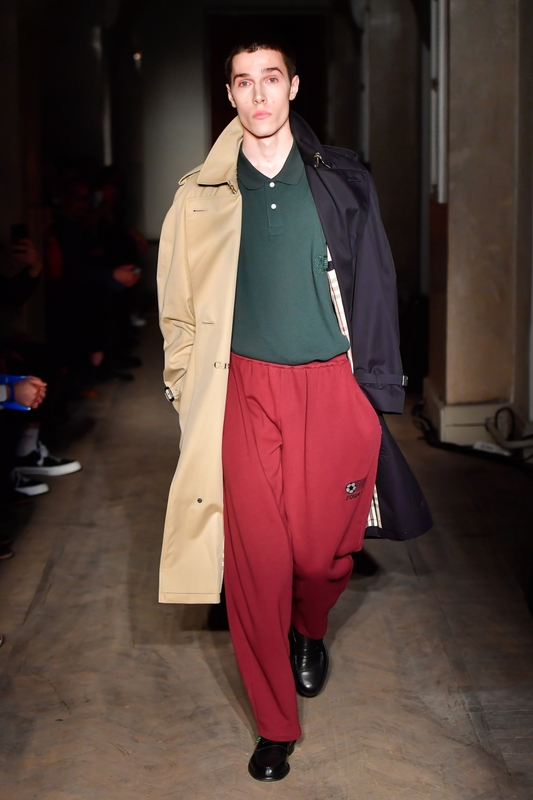 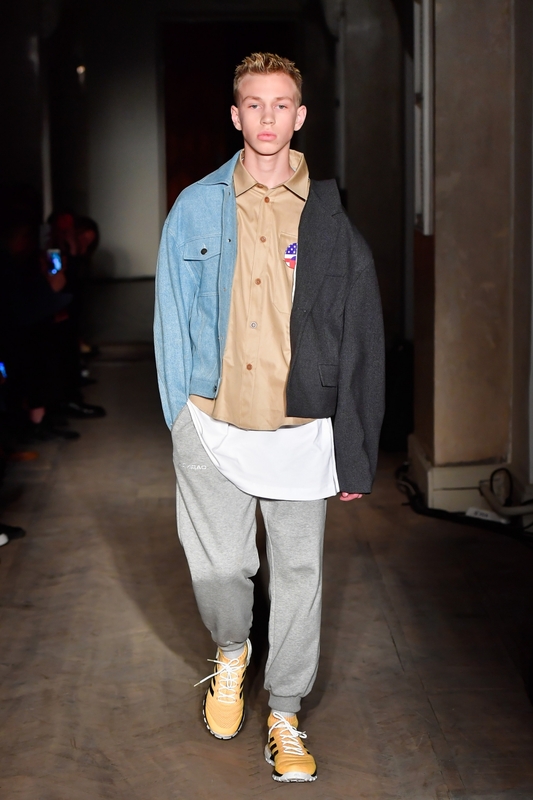 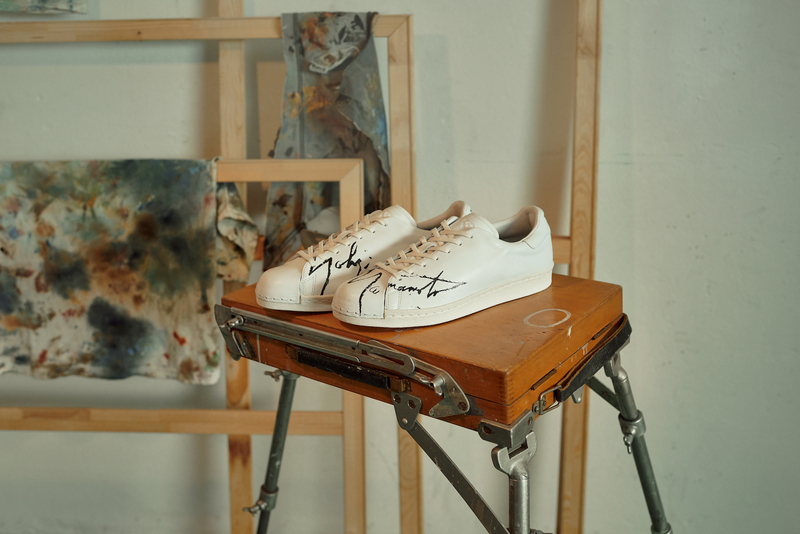 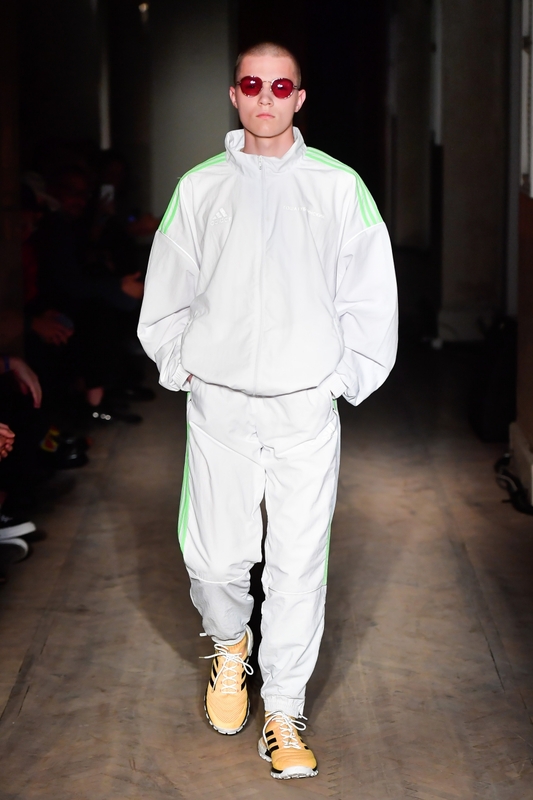 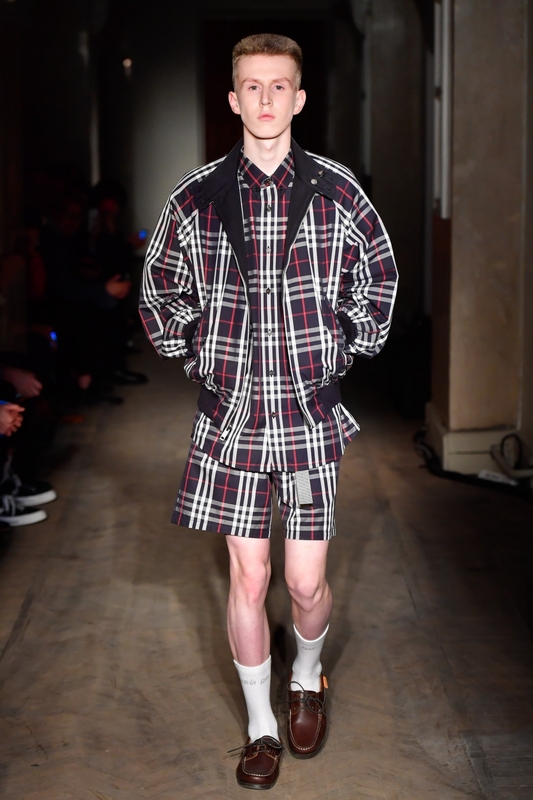 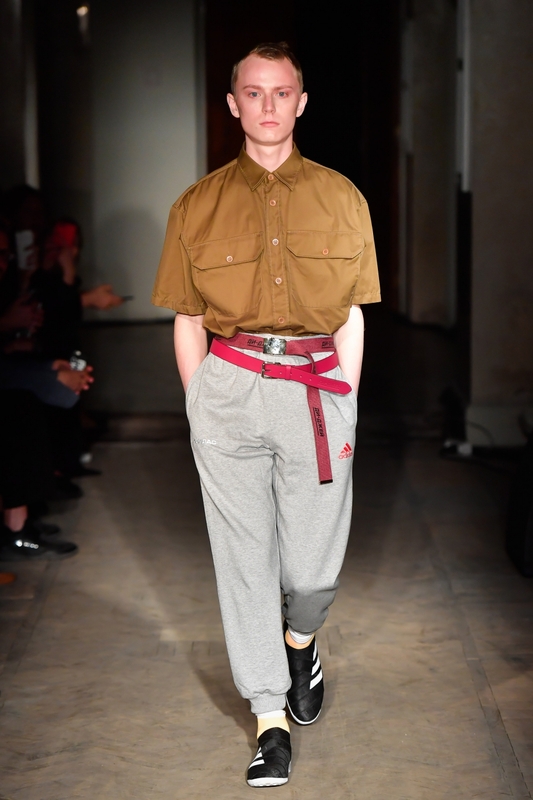 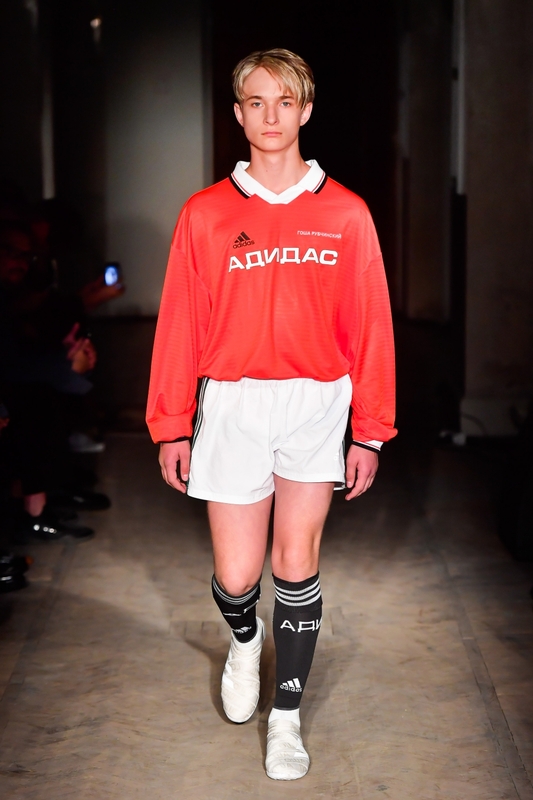 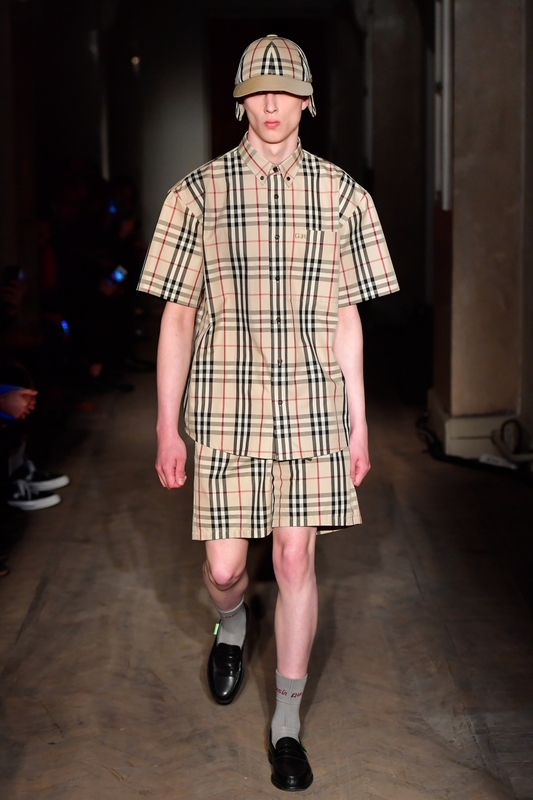 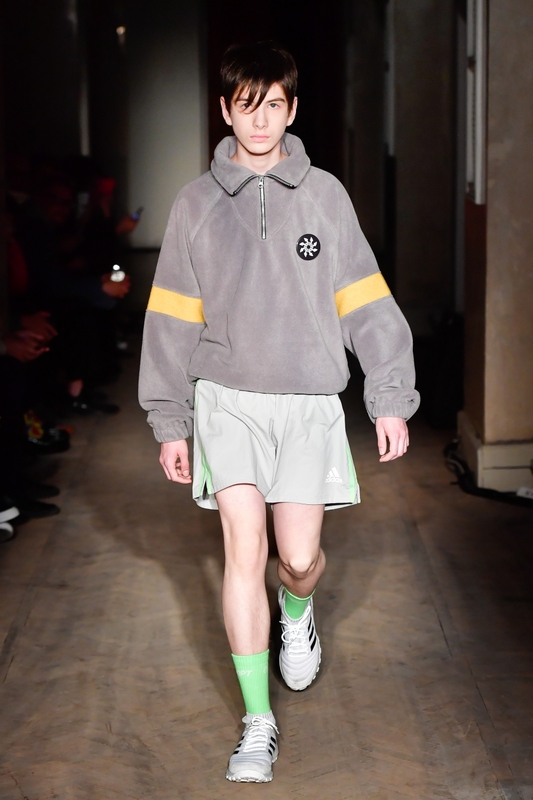 His marriage of sports, work, and traditional British garments, along with the somewhat controversial all-white cast of models is reminiscent of the 1980's British 'football casuals'. 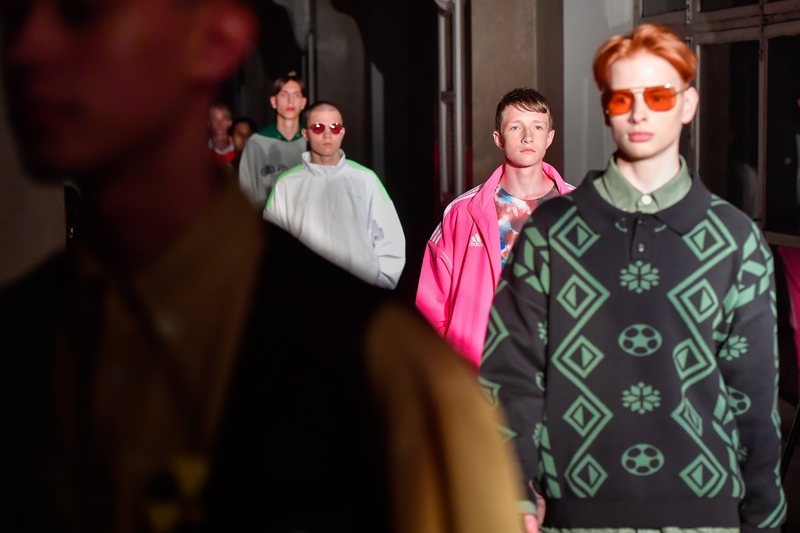 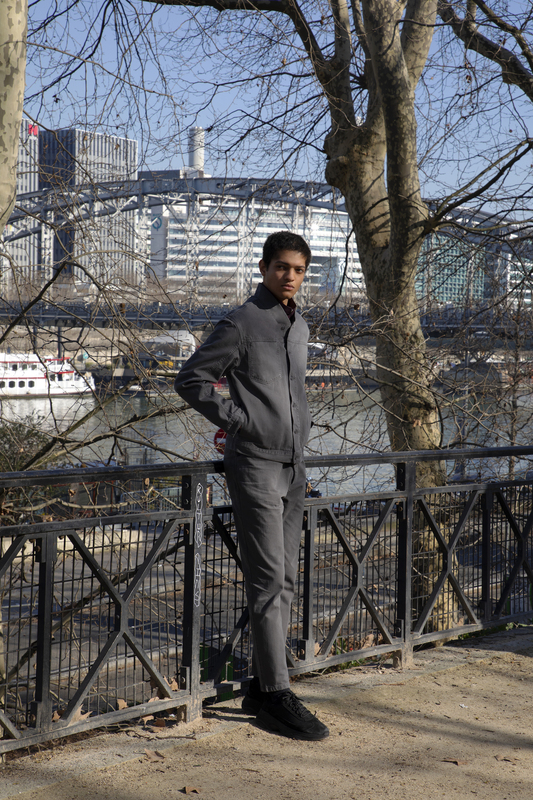 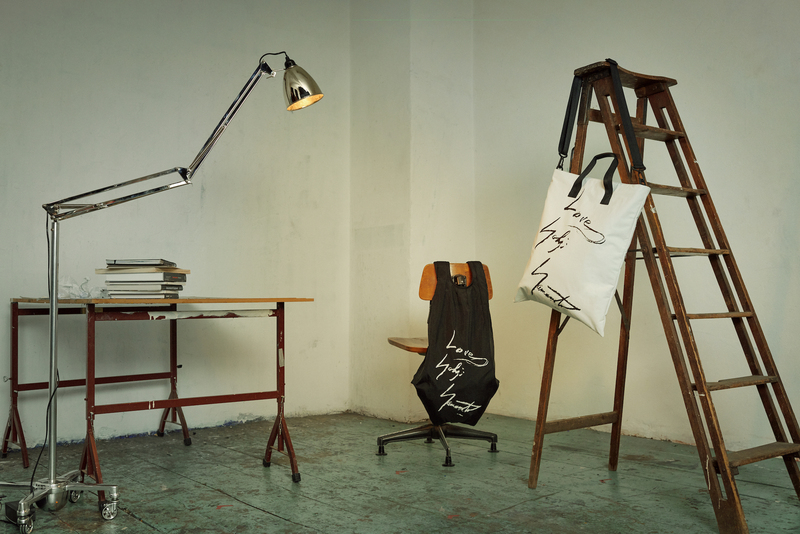 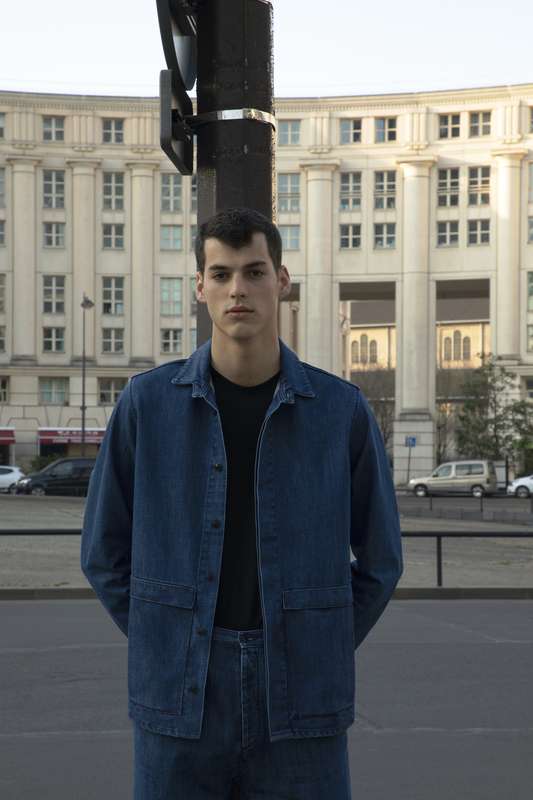 Their notorious penchant for Italian and French designer clothes would have undeniably spread east to include those in Gosha's had it been available in their raucous heyday. 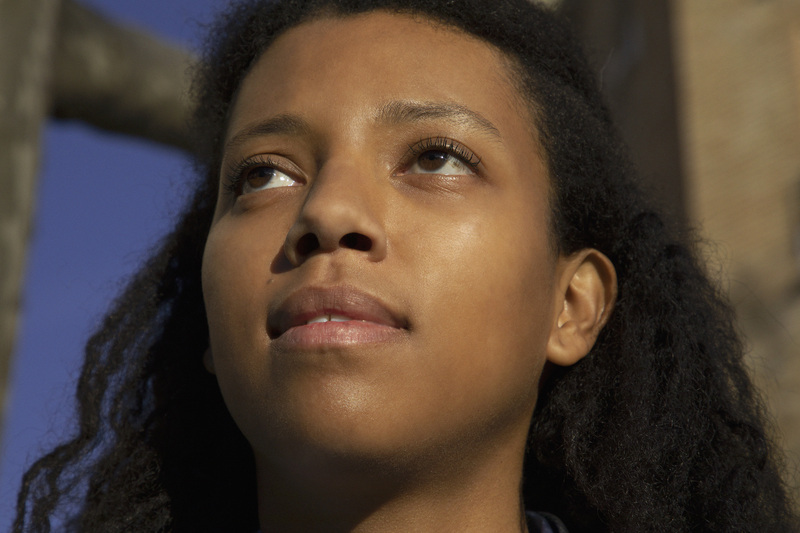 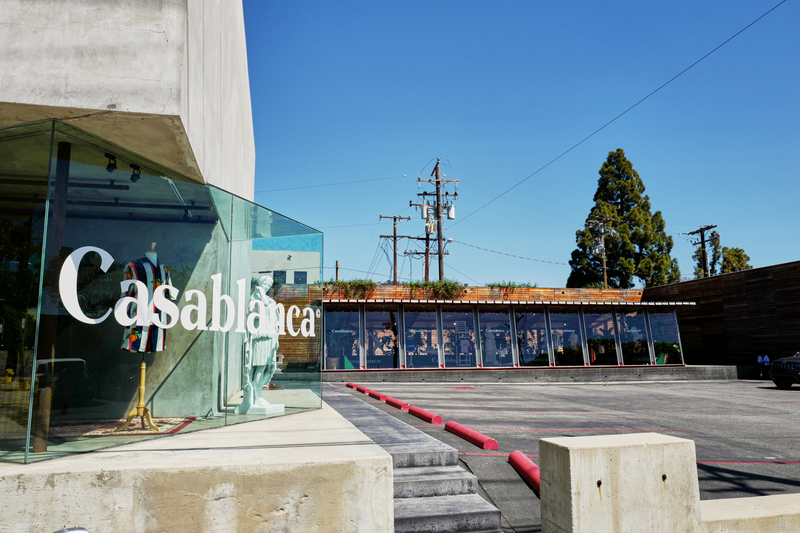 Barbara Sanchez Kane creates a explorative experience out of Mexican pride.